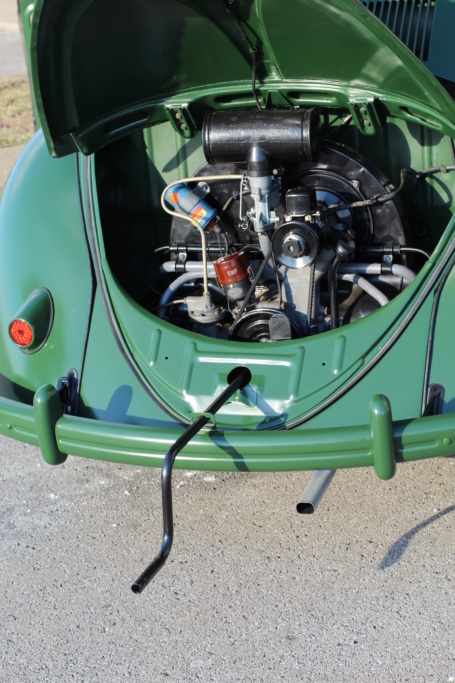 I have just restored a June 1952 split rear window volkswagen beetle which was delivered to 151 Vehicle Coy on 30th July 1952. I am trying to trace what insignia would have been put on the car. I know it had 2 tone horns and a search light. Correspondence passed on from previous owners suggest this may have been a military police car. 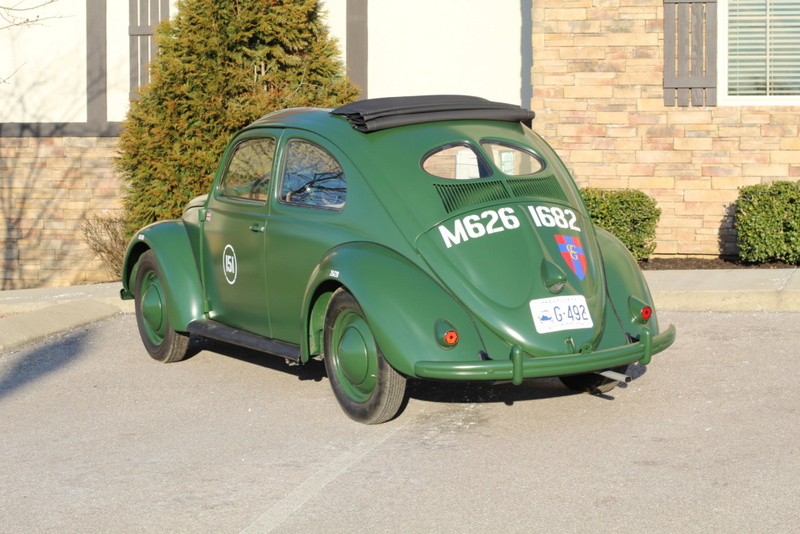 Reverend Martin Atkinson who was a chaplain in the British Forces brought the car back to England in 1962. Information suggests he used this car for some time as he used to pass through "Checkpoint Charlie" and smuggled people through there in this car. Is there any way we can find out which company/regiment the car would have been sent on to as I would like to restore as authentically as possible. Unfortunately the brass commision plate was missing from the car when I bought it. Hi Keith and welcome mate. I'm no VS or REME, but do you have any idea of the original Army Registration? it would have been 2 numbers 2 letters 2 numbers I believe. Unfortunately I bought the car all in pieces, but have no further information on its history apart from the chassis number and place of delivery. When I visited the REME musuem at Reading I spoke to the Technical Historian who told me british vehicles shipped out to Germany would have records kept and could be traced through Vehicle records atthe Royal Logistical Corps, Deepcut, but as the car was made in Germany and kept in Germany he didn't think the same sort of records were ever kept. The old log book I have is stamped Ex I.C.P. I don't know if this means anything. I seem to remember that Ex Military vehicles could be bought (by civilians) in batches of about 10. This was done IIRC, from 17 Base Vehicle Depot at Recklinghausen, perhaps I.C.P. stood for Inventory Control Point? Maybe Keith, you could upload a photograph of said Log Book? 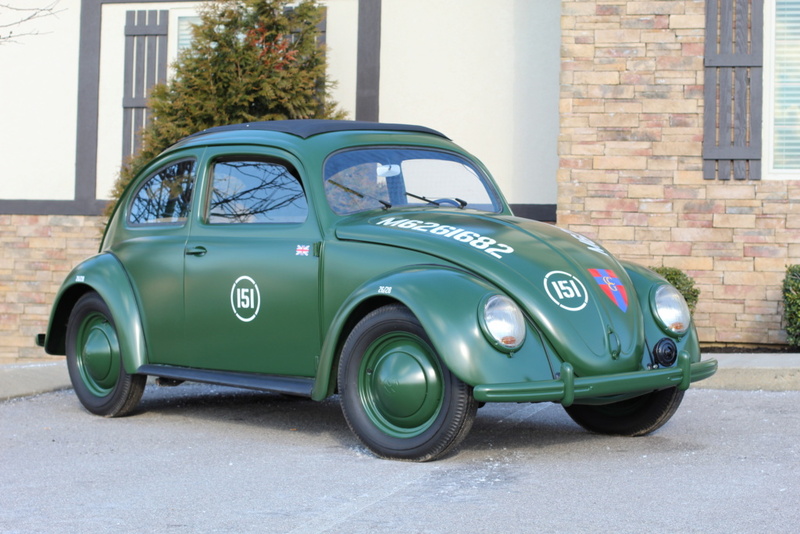 When I was stationed in Lippstadt, 64 - 69, we had Volkswagen Beetles as welfare vehicles but these were replaced by Hillman Huskys around 65/66. I bought a 1952 Split Window while I was stationed in Germany. Records for Wolfsburg show it was sent to Lippstedt 151 Vehicle Coy. How can I tell if it was for the British or American Forces? Or did all vehicles sent to 151 Vehicle Coy, Lippstedt for British Forces?